• coloring books, reading, drawing, etc. Honestly, I cannot imagine purchasing a table that did not allow seating, room under the table to allow it. Below, a photo showing this concept in action. Below, you can see how Mitchell is seated while playing with a puzzle. Also, our N26 Storage Bins are under the table as well! We designed the storage to be 8″ shy of going from front to back under the table. That 8″ was to allow for your child’s legs to be comfortably under the table! Genius…YES! Finally, while many tables out there are quite low, great for perhaps your toddler 1-2 years of age, do they not grow like weeds! 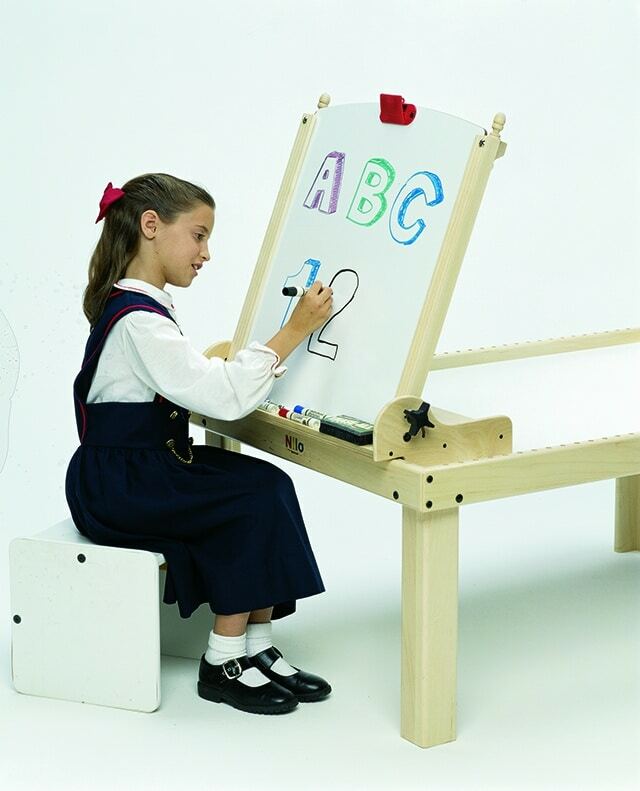 Your child will outgrow that low table in a fraction of a time! Meanwhile, your awesome investment in a Nilo® brand table will allow for years, decades of use, both for your children but also for your grandkids! Yep, our tables LAST FOR GENERATIONS! Buy Once, Buy Right, Buy Nilo today! ← PHOTOS, PHOTOS AND MORE PHOTOS OF OUR TABLE AND PRODUCTS IN USE!